There are 4 pages to these worksheets. The first two pages are where you set your priorities for the year in all the areas of your life. 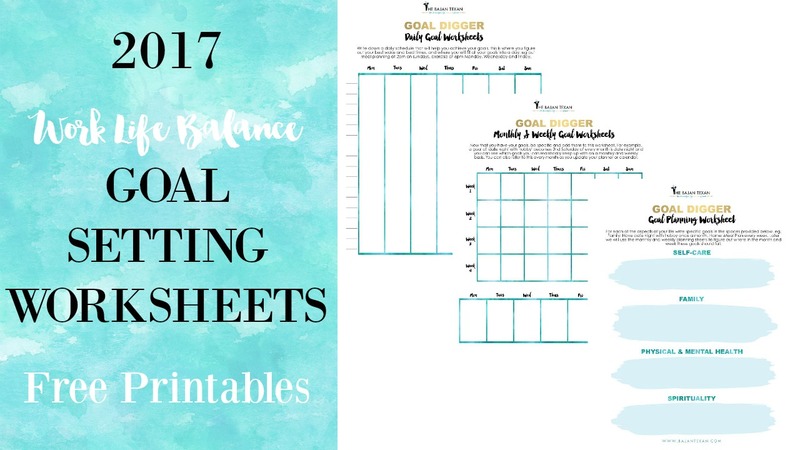 These printables are designed to make sure you are considering all aspects of your self from your own self care to your finances, so please think of at least one goal for each area of your life you would like to improve. Here are some examples. 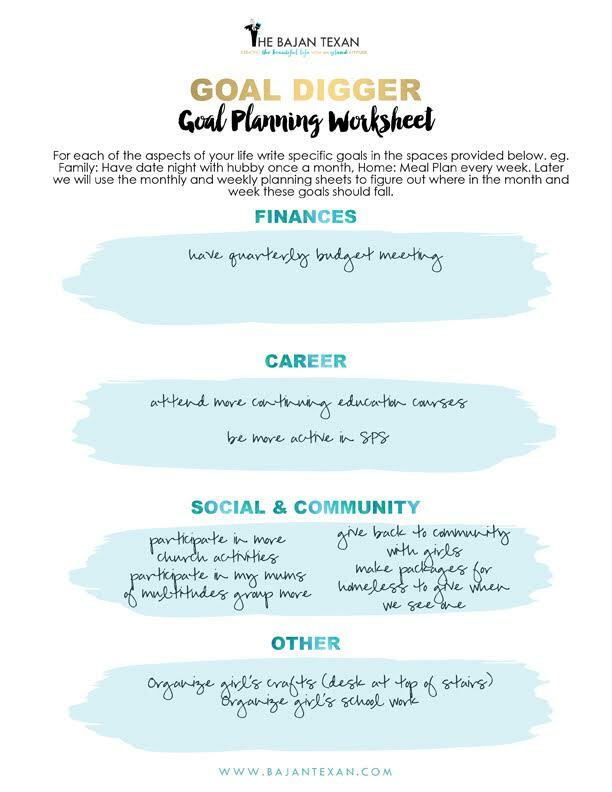 Once you have all your goals, the next step to to figure out how you will achieve each of those goals on a monthly or weekly basis. For example if your goal under the area of family is to spend more time with your husband. 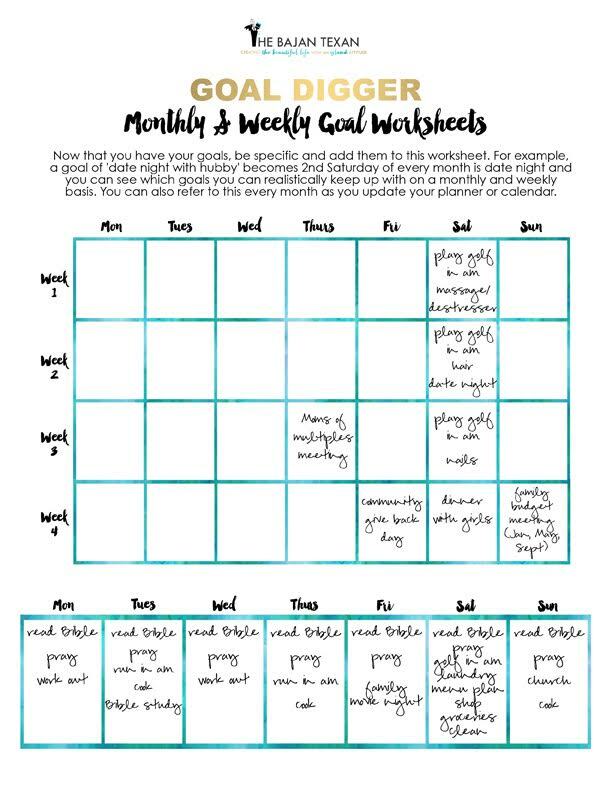 In the monthly/weekly worksheet you can say every 2nd Saturday is date night with hubby. Then on you will write that in on the 2nd saturday. This is something you will keep as a reference so that say if you use a planner, you will remember to write in date night on that date every month. In the weekly worksheet if one of your goals under spirituality is to read your bible every day, you will add that every day in the weekly worksheet. And finally you are going to implement a daily schedule that incorporates your goals. This allows you to see if these goals how exactly your day will look if you need to implement everything you want. For example you can make sure you are going to bed and waking up at the optimal time that allows to have time for your goals. So writing down a morning routine will allow you to see if you have time for everything you want to do and make room where possible.